These multi tusk tools provide you 7 varieties of attachments with one-touch easy coupling of secure holding. 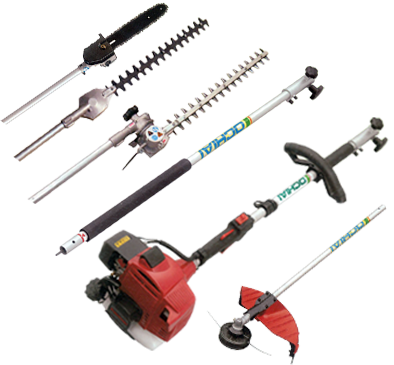 Light weight and well balance assure of comfortable work for your landscaping. Ochiai advises you professional spec Power Unit and 7 Attachments. Power Unit features powerful KHI 26.3cc engine. 7 Attachments promise you perfect operations.